The Queensview Steakhouse is conveniently located on the third floor of Parkers’ Lighthouse on the Point at Shoreline Village. 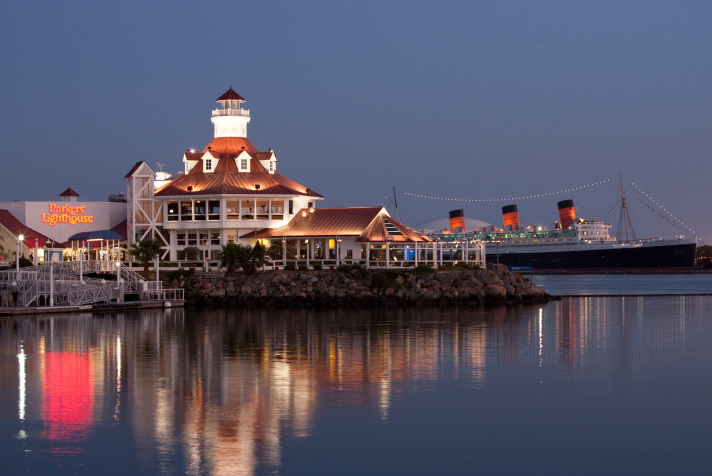 Walking distance from many of Long Beach’s main attractions, Parkers’ Lighthouse and the Queensview Steakhouse are full-service, contemporary restaurants with full bars. Parkers’ Lighthouse is open for lunch and dinner Monday through Sunday; and the Queensview Steakhouse is open for dinner Tuesday through Sunday and available for private functions. Reservations are recommended, but we are always happy to accommodate the spontaneous at heart.